WASHINGTON — A law enacted two years ago to reduce violence in D.C. and increase transparency in policing is not fully in effect. Lawmakers in D.C. learned during testimony Thursday that what they thought was a fully-funded initiative to collect data on all police interactions is only partially being implemented. “It is very frustrating, and I am not the only person who is frustrated,” said Charles Allen, chair of the D.C. Committee on the Judiciary and Public Safety. Allen held a daylong hearing going through the proposed budgets of the city departments under his committee’s purview. But during Deputy Mayor Kevin Donahue’s testimony, Allen expressed his frustration at learning certain data is not being collected during police and ticketing interactions — as required by the N.E.A.R. Act — due to inadequate infrastructure. The District has not spent the $150,000 allocated to fund the N.E.A.R. Act, according to Donahue. He said his office and D.C. police prioritized the felony-related elements of the law that had to be met by a deadline, but have not yet brought the I.T. systems necessary to hold the required data up to compliance. Full compliance “will require changing MPD’s Cobalt system and the Department of Motor Vehicle’s ticket processing system. Because the N.E.A.R. Act calls for racial and demographic information to be associated with traffic tickets that go to DMV as well,” Donahue explained. Cobalt is the department’s records management system platform, D.C. police spokesman Dustin Sternbeck said. During his testimony, Donahue could not tell Allen how much money should be budgeted to bring both systems up to speed. Donahue said the lack of resources issue was raised to the committee previously, but said the miscommunication can be traced to a small number of people. 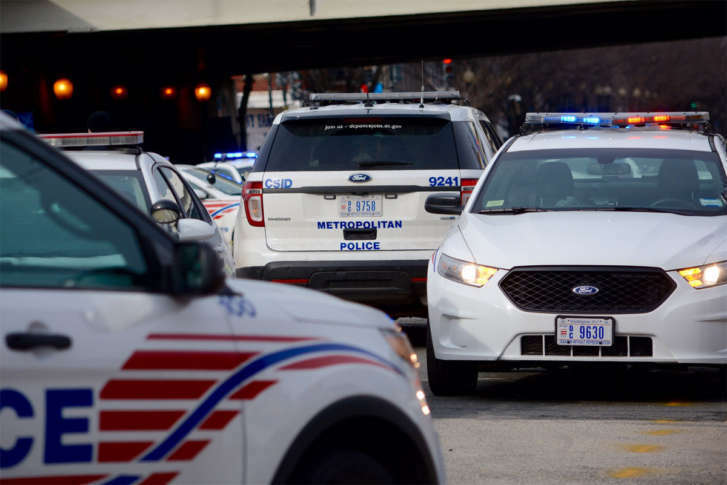 “To the extent there has been a delay in the data piece and not a complete understanding of the necessary infrastructure changes that would be required, we’re guilty,” D.C. Police Chief Peter Newsham testified. The 2016 Neighborhood Engagement Achieves Results Act requires in part that officers or anyone giving a ticket record details about the interaction, including asking someone’s race and gender. While it is meant to make policing more transparent and easy to track, Newsham testified that it can also intensify a situation and make it more difficult. “What I’m very concerned about is I don’t want our community, who we worked so hard to develop a trusting and legitimate relationship with, to be offended by what could be perceived as invasive stops,” he told Allen during the Thursday afternoon testimony regarding the D.C. police budget. Newsham said he supports and will abide by the transparency required in the law but wanted the concerns in its application noted.